There is a close relationship between faith and patience. Without faith it is very difﬁcult to be patient. Patience is manifested in waiting, anticipating and hoping for something we trust would happen. If there was no faith in the prophecies that talked about the coming of Christ to save the world, we would not have seen generations after generations waiting for the redeeming Messiah. And we wouldn’t have seen the Magi coming from the east, traveling thousands of miles to come in search of Christ, who was born king of the Jews, to offer Him their gifts according to the prophecies which have been passed on to them, in which they believed in, and waited patiently for them to be fulﬁlled in the fullness of time. 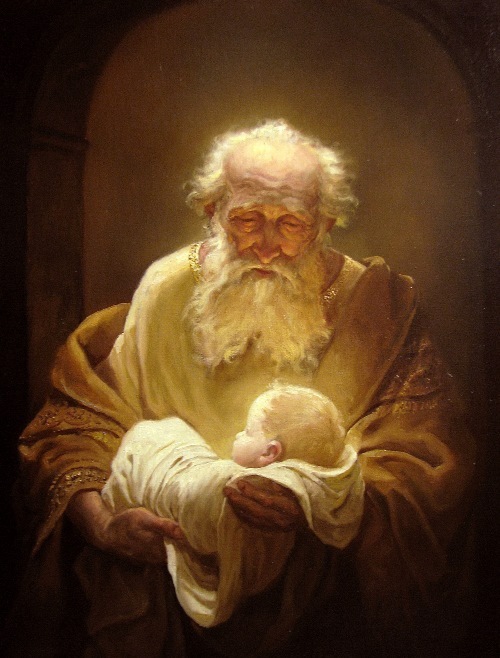 And we wouldn’t have seen Simeon entering the temple after a long wait in patience for so many years, carrying the Godly Child, asking God to release him in peace from the prison of his body, according to the prophecy ” Sovereign Lord, as you have promised, you may now dismiss[a] your servant in peace” ( Luke 2:29). It was faith in the promise of the Lord that made Abraham and his wife Sarah wait for 25 years for the fulﬁllment of the Divine promise, giving birth to Isaac, from whom the Lord Jesus came, and through Him all the tribes of the earth were blessed” And by faith even Sarah, who was past childbearing age, was enabled to bear children because she considered him faithful who had made the promise” ( Hebrews 11:11). Then, without our faith in Christ, our God and savior, and in His aid and victory over Satan, death and the world, we would not have endured the pain, oppression and death that haunts us every day” “For your sake we face death all day long; we are considered as sheep to be slaughtered” (Hebrews 8:36). My Beloved, if our patience is little, our endurance is short, and our anxiousness precedes our decisions, let us know that we are in great need to experience faith” knowing that the testing of your faith produces patience” ( James 1:3). But our behavior when we wait in patience should be without complacency, inside out, so that the work in our lives is not negatively affected” But let patience have its perfect work, that you may be perfect and complete, lacking nothing” ( James 1:4). Let us look at Job the righteous man, after all trials and calamities, he did not cease to bless the Lord and praise His name” Then Job arose, tore his robe, and shaved his head; and he fell to the ground and worshiped. And he said: “Naked I came from my mother’s womb, And naked shall I return there. The Lord gave, and the Lord has taken away; Blessed be the name of the Lord.” In all this Job did not sin nor charge God with wrong” ( Job 1:20-22). When we hear about Christ’s patience, we instantly recall how much God loves us, the sinners, and how, for our salvation, He was incarnate and resembled us in everything except sin alone?! Then how He accepted poverty, destitution and became a slave after He had given Up His divide glory?!!.. And how He also endured the resistance of the stubborn Jews, scribes and Pharisees who were waiting for Him lurking from the very ﬁrst moment of His service?! And before all that, how did He endure Satan’s temptations from the moment of His birth, where He found no place to be born, where the king of this world only allowed Him to be born in an animal’s manger. Then how he agitated Herod the king, wanting to kill the Child, which led to His ﬂight to Egypt with His mother, the Virgin Mary and Joseph the carpenter. We marvel at the patience of Christ, the King of Kings and Lord of Lords, and how He had no place to rest His head. Listen to Saint Paul marveling at Christ’s patience on poverty for our sake” For you know the grace of our Lord Jesus Christ, that though He was rich, yet for your sakes He became poor, that you through His poverty might become rich” ( 2 Corinthians 8:9). I wonder the most about the patience of Christ, and how in His holiness and sinlessness, carried on Himself all the sins and transgressions of mankind since Adam and to the end of the ages, where the Father placed upon Him the inquiries of us all” For He made Him who knew no sin to be sin for us, that we might become the righteousness of God in Him” ( 2 Corinthians 5:21). And we heard Him in the midst of His pain and endurance crying to the Father and saying” Father, if it is Your will, take this cup away from Me; nevertheless not My will, but Yours, be done.” ( Luke 22:42). Behind all this is an unconditional Divine love, and so it was summed up in a verse mentioned by Saint Paul the Apostle in his second letter to the Thessalonians” Now may the Lord direct your hearts into the love of God and into the patience of Christ” ( 2 Thessalonians 3:5). And he continues in the letter to the Hebrews” looking unto Jesus, the author and ﬁnisher of our faith, who for the joy that was set before Him endured the cross, despising the shame, and has sat down at the right hand of the throne of God” ( Hebrews 12:2). And from here we understand what is the meaning of the patience of saints. The saints on earth are those whom being passionate about Christ’s love and patience, love Him and endure all pain and tribulations” And they overcame him by the blood of the Lamb and by the word of their testimony, and they did not love their lives to the death” ( Revelation 12:11). He also says” Others were tortured, not accepting deliverance, that they might obtain a better resurrection. Still others had trial of mockings and scourgings, yes, and of chains and imprisonment. They were stoned, they were sawn in two, were tempted,[a] were slain with the sword. They wandered about in sheepskins and goatskins, being destitute, afﬂicted, tormented— of whom the world was not worthy. They wandered in deserts and mountains, in dens and caves of the earth” ( Hebrews 11:35-38). Then, The Book of Revelation refers to the end of times, where the persecution of the beast and the anti Christ to the children of God will happen. Where the saints will endure through faith” Here is the patience of the saints; here are those who keep the commandments of God and the faith of Jesus” ( Revelation 14:12). Lastly, listen to the Lord’s words to us” By your patience possess your souls ” ( Luke 21:19), ” But he who endures to the end shall be saved” ( Matthew 24:13).